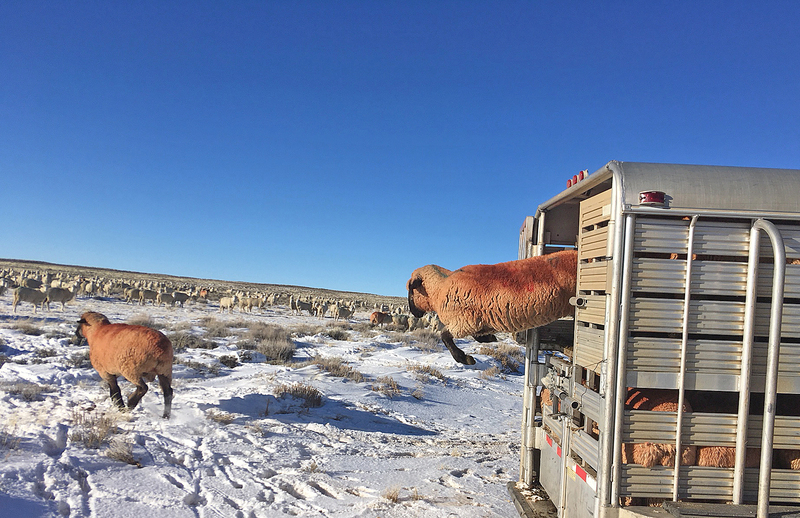 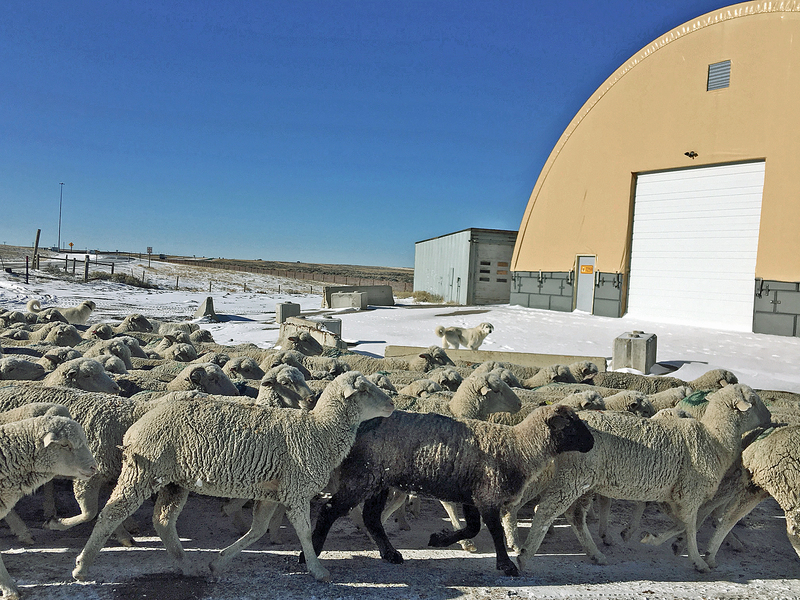 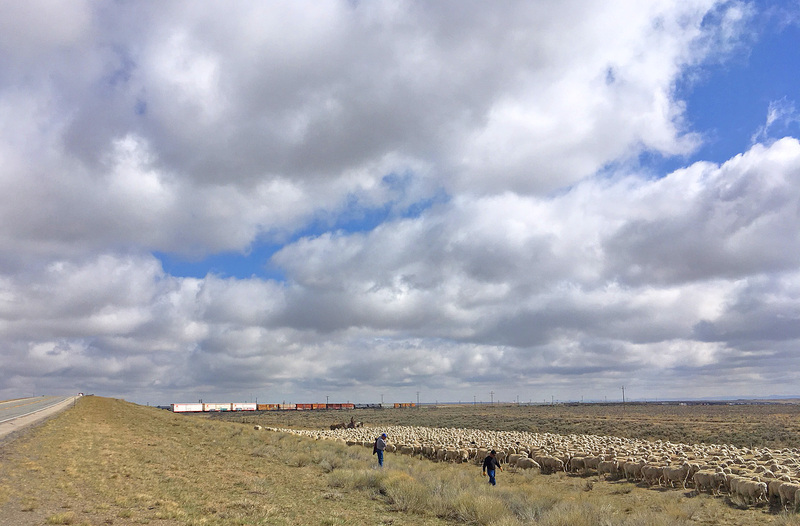 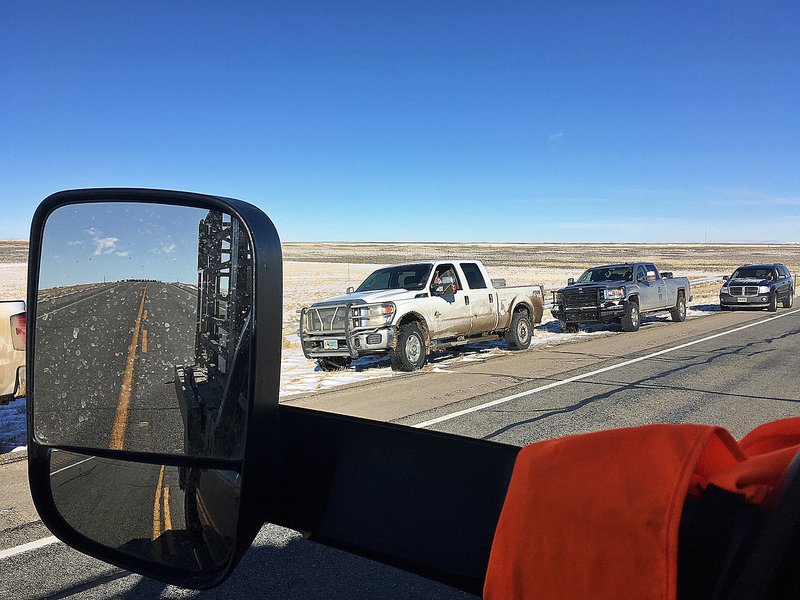 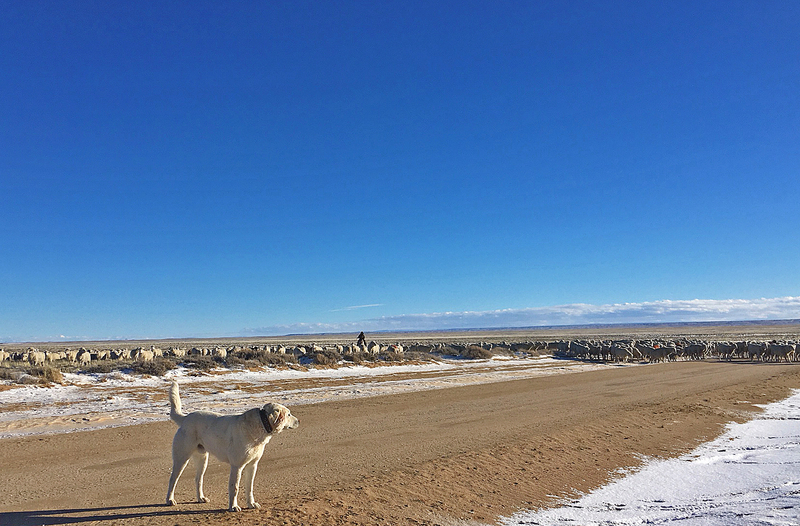 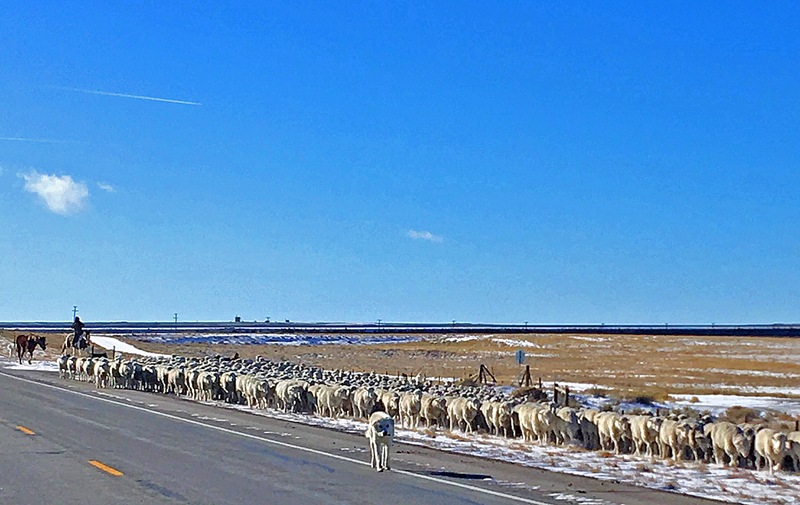 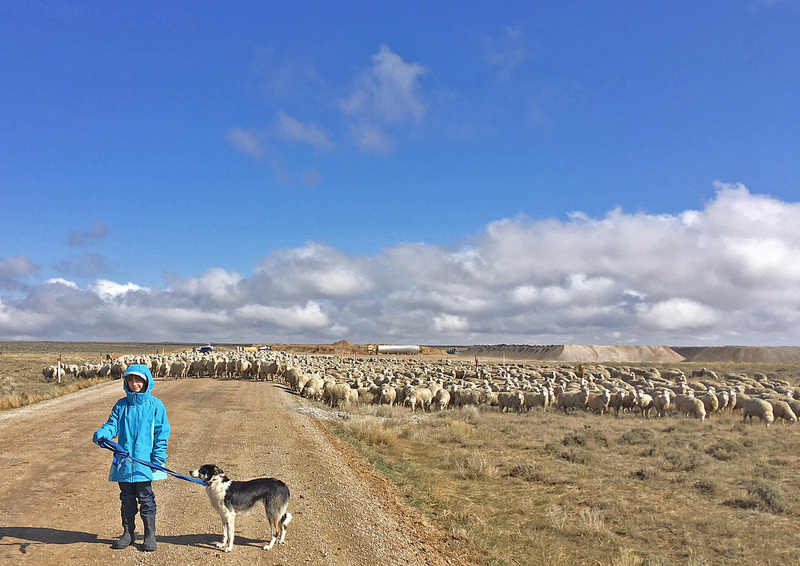 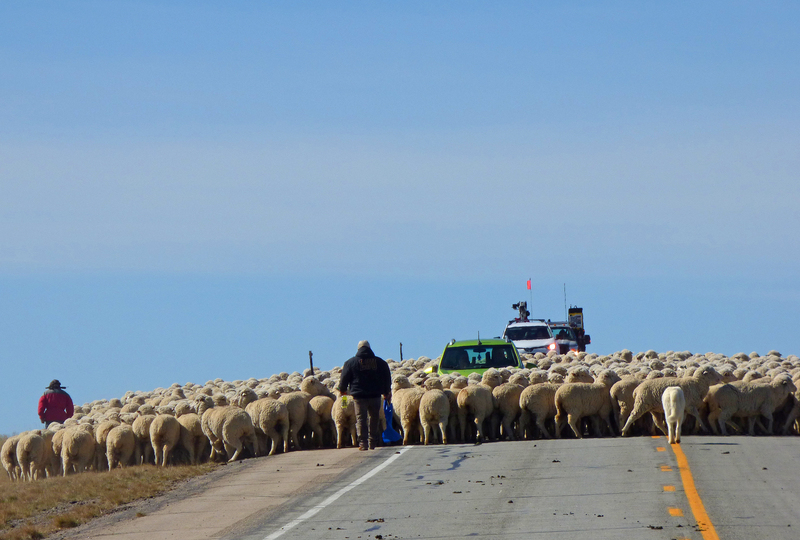 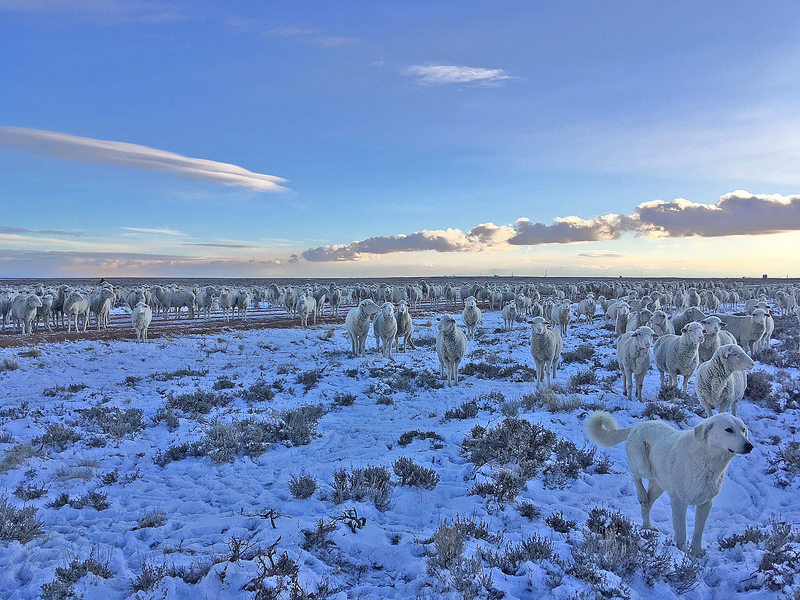 The sheep are making our annual trek from wintering ground on the Red Desert to the Badwater Pasture, where we will shear the sheep before heading on to the Cottonwood lambing grounds. 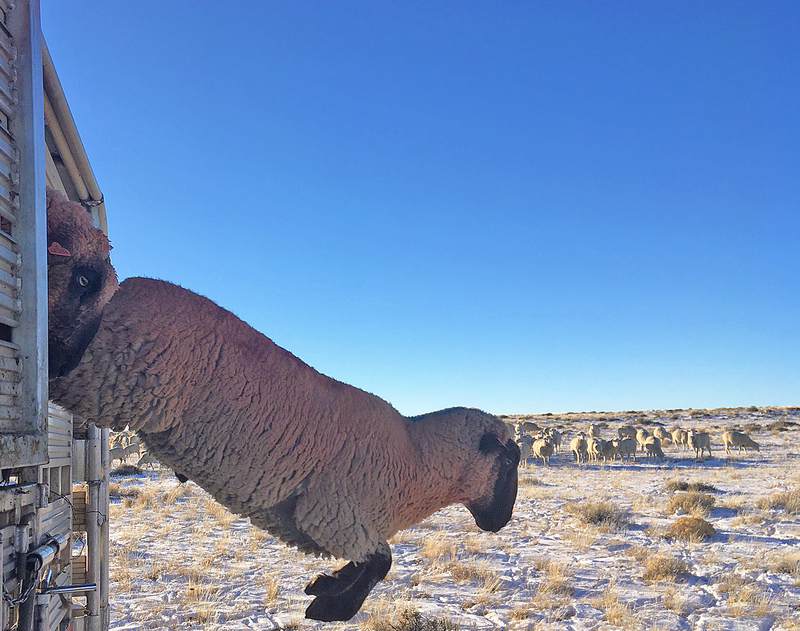 The rams hang around for ten and a half months, waiting for the day when they are called to go to work, fathering lambs for the next season. 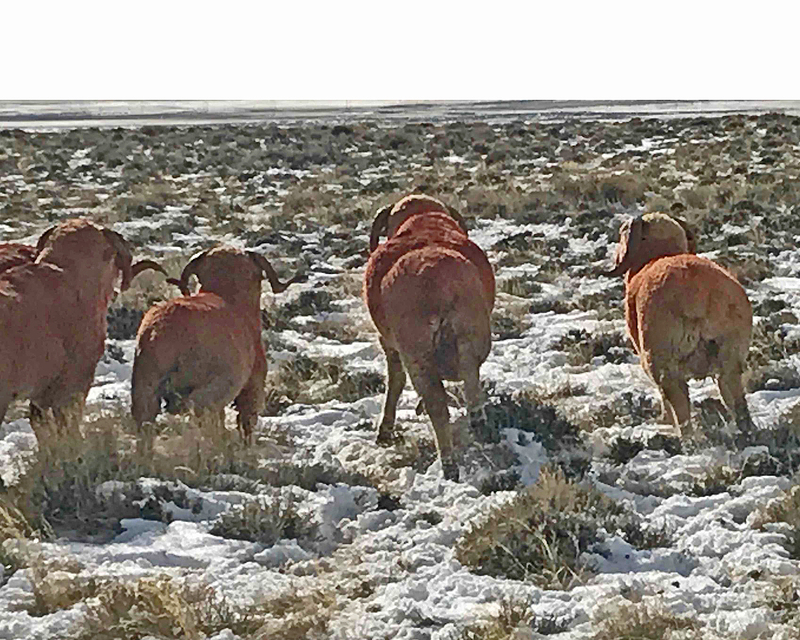 We put the bucks in over a period of days and weeks. 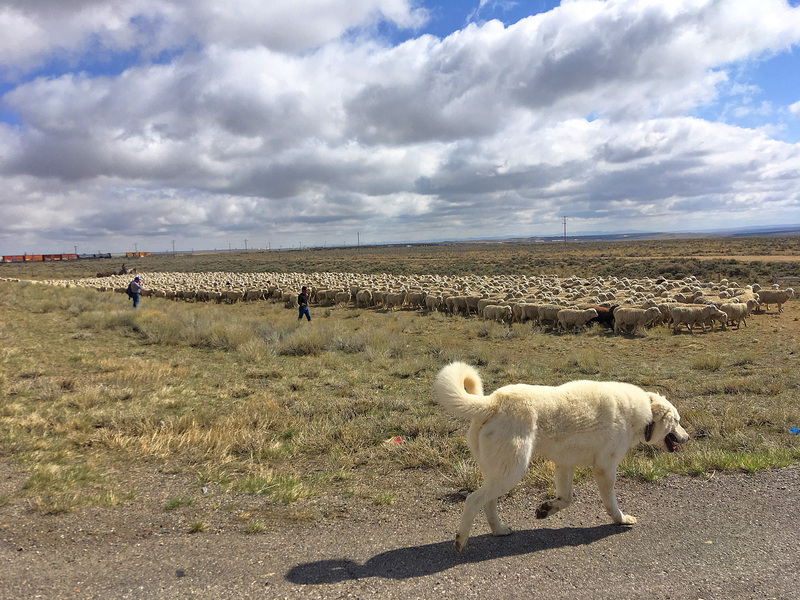 We figure that the first bucks to go in with the ewes are getting tired, so we send reinforcements. 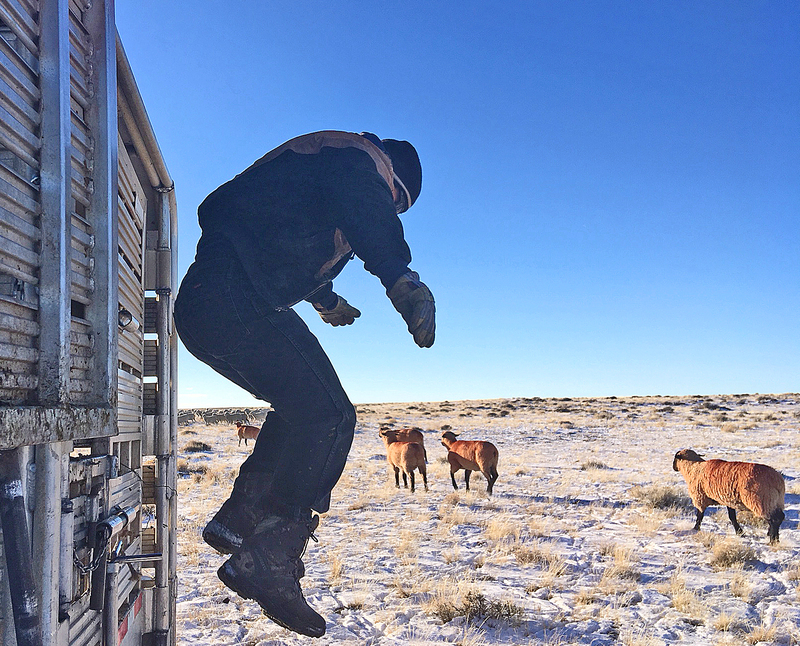 They sometimes resent being worked through the chutes, but are happy to jump out of the trailers to join the ladies. 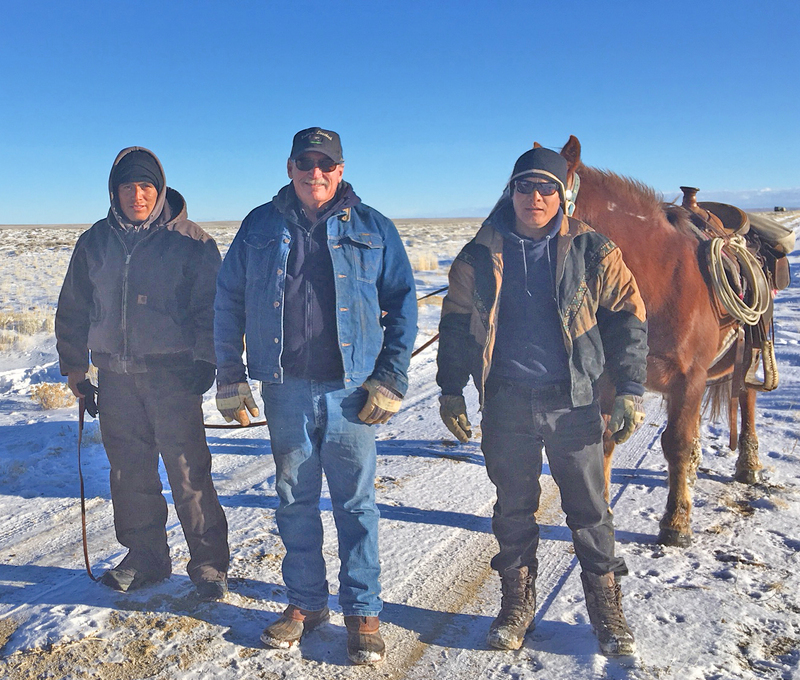 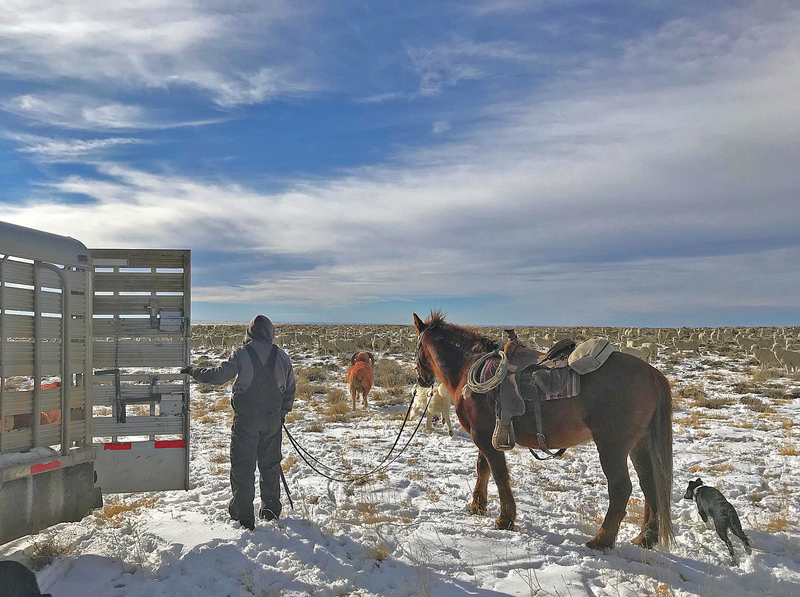 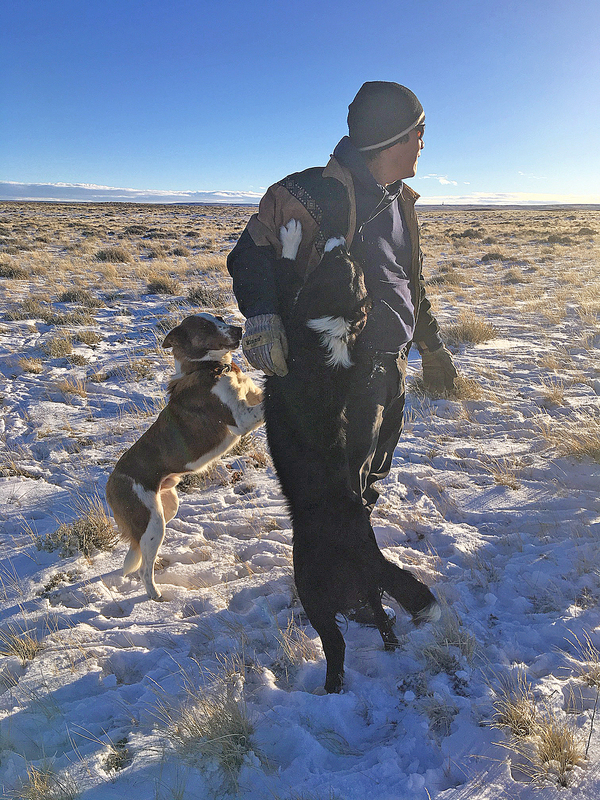 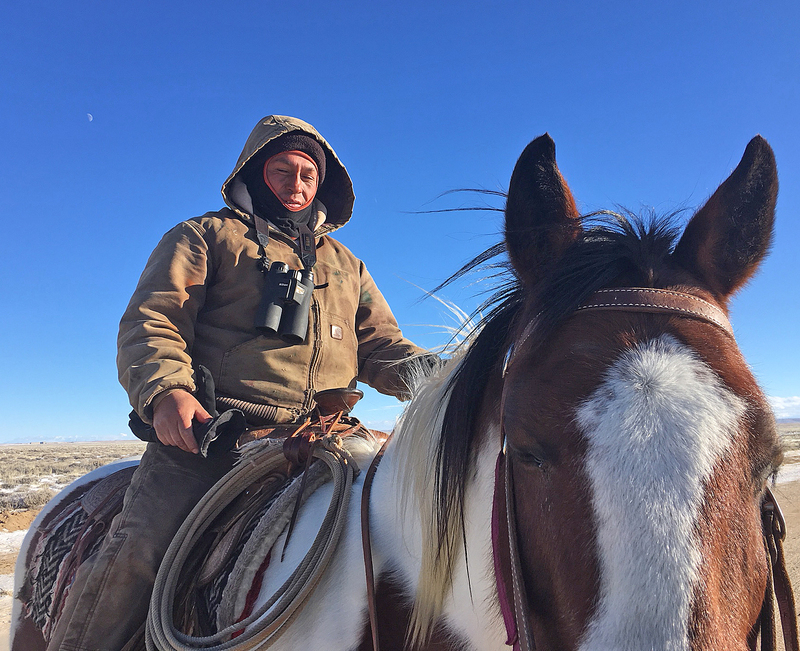 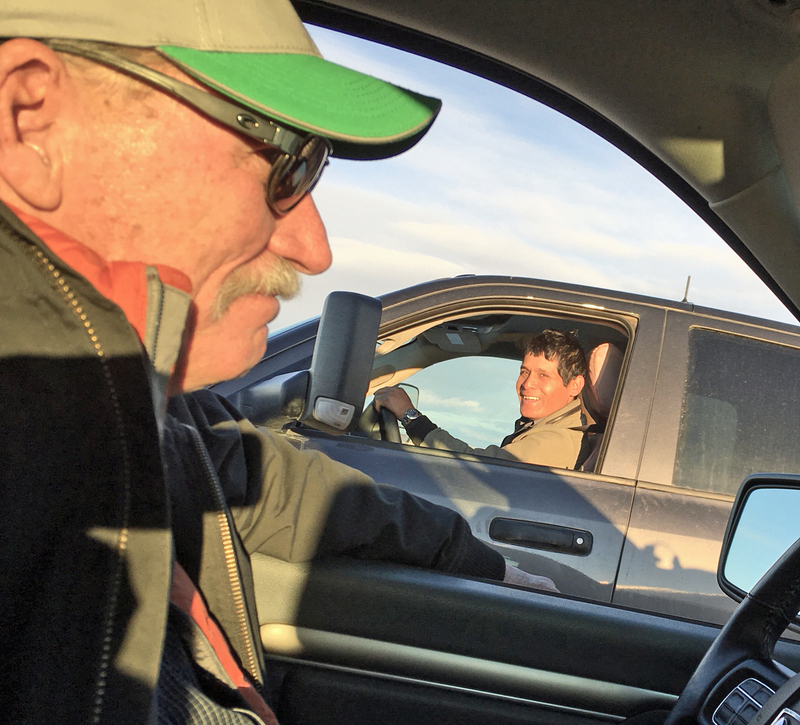 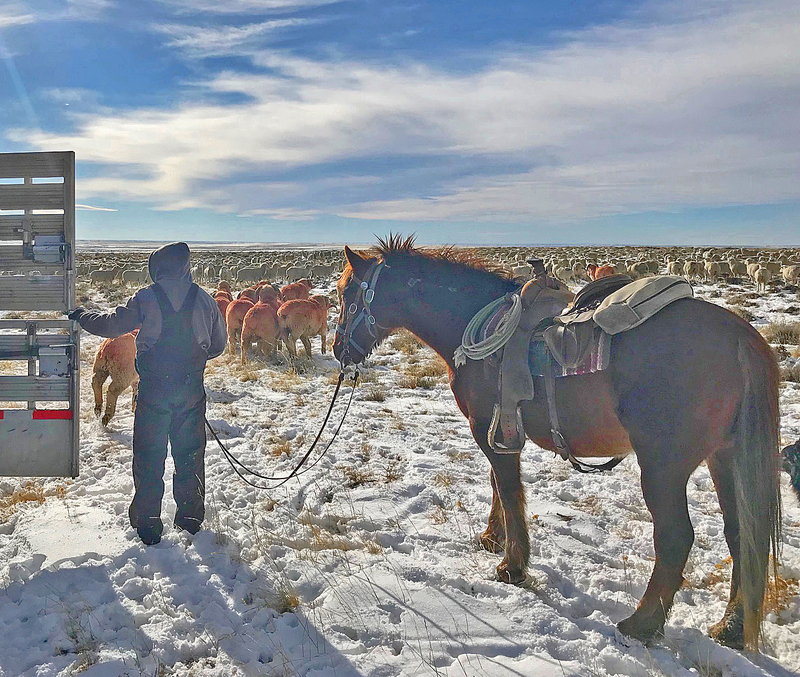 When we were loading them, I said, “Hop in boys–all the corn you can eat.” Meghan said, “All the ladies you can breed!” I added, “…and all the wind you can tolerate.” Such is the life of a buck in the winter. 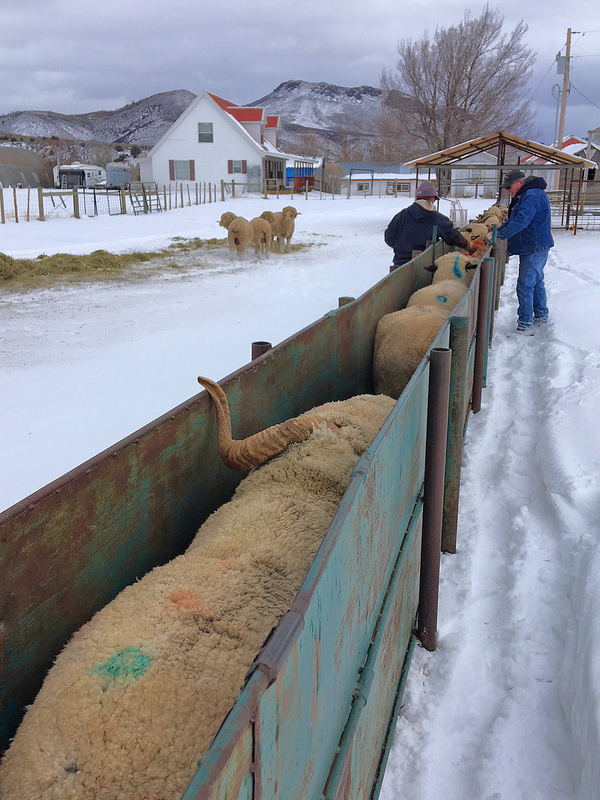 The ides of December means that it’s time to put the rams in with the ewes. 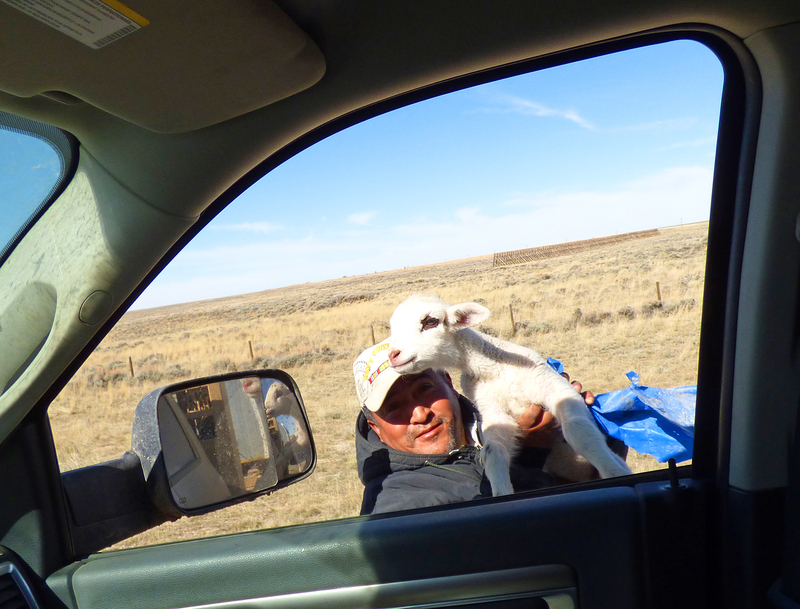 Romance in December brings lambs in May. 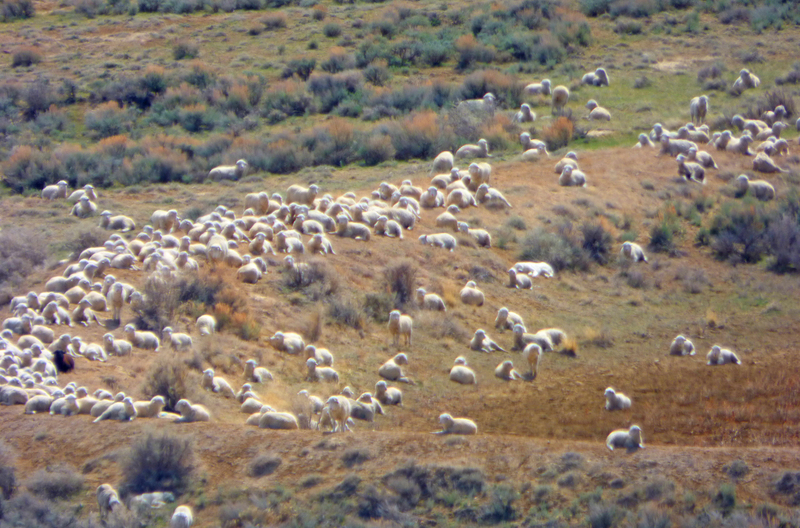 A sheep’s gestation is five months less five days. 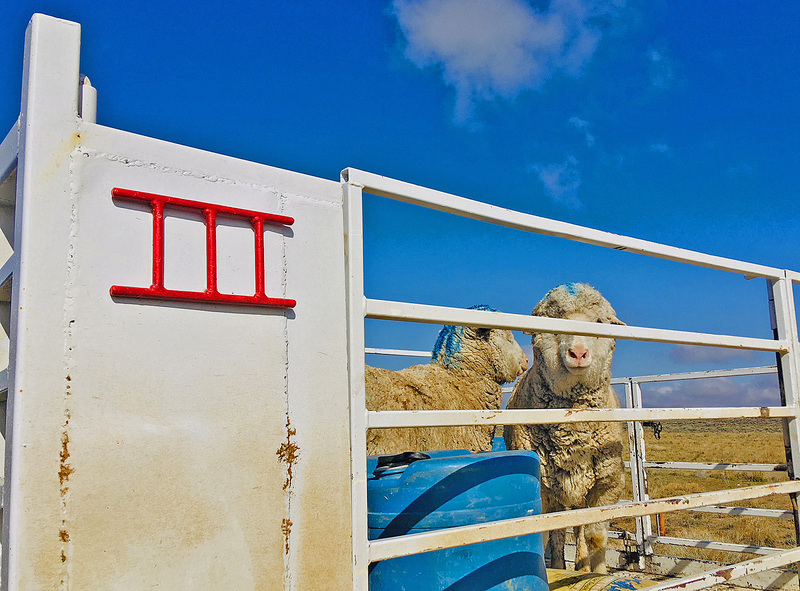 I wish we could predict now just when the shearers will arrive and what the weather will be like on the 10th of May. 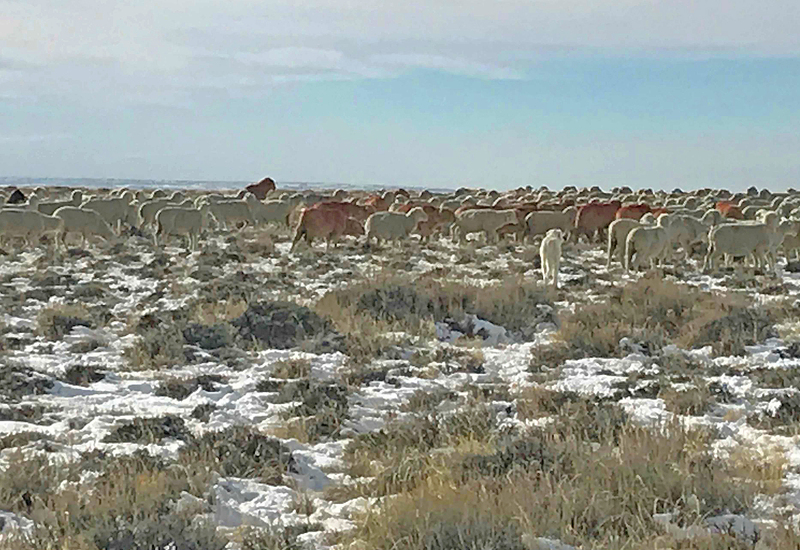 The ewes have made their annual trek north to the Red Desert, where we have wintering ground on the Cyclone Rim and Chain Lakes grazing allotments. 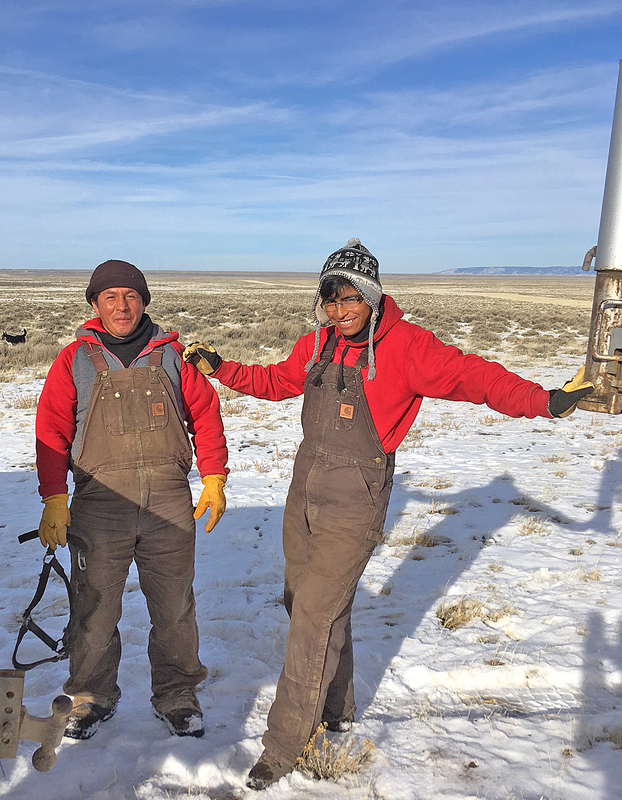 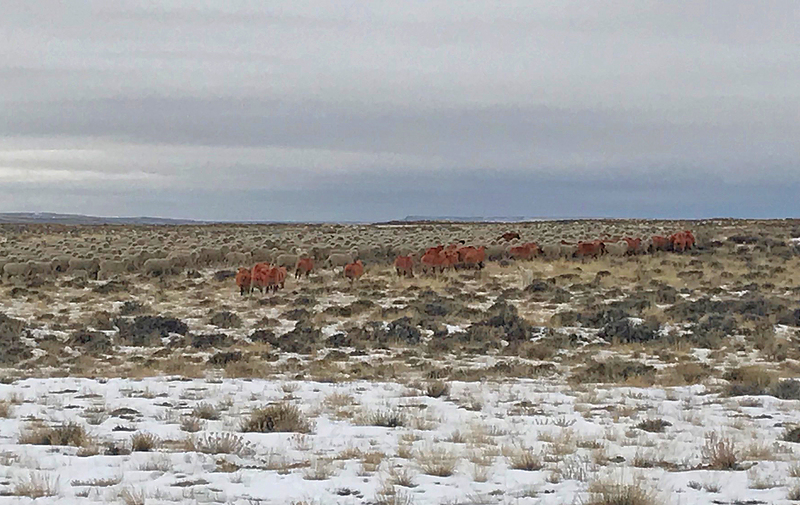 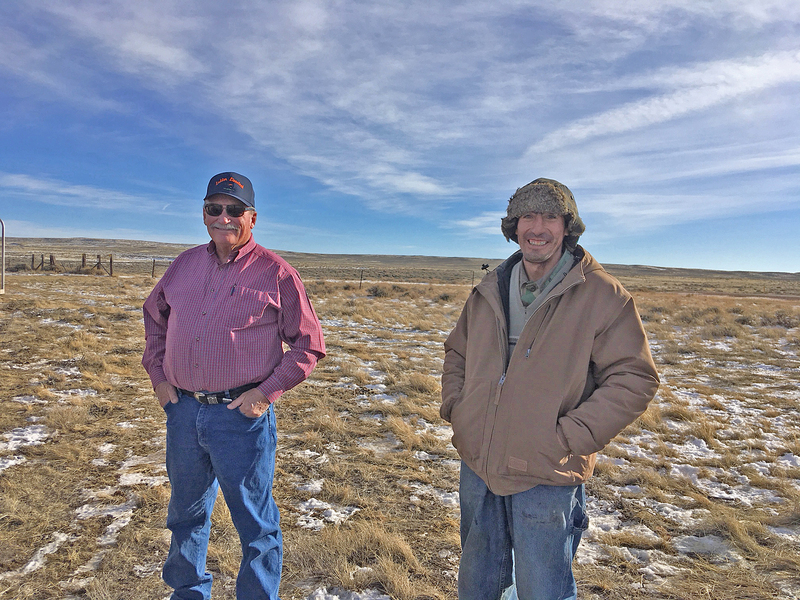 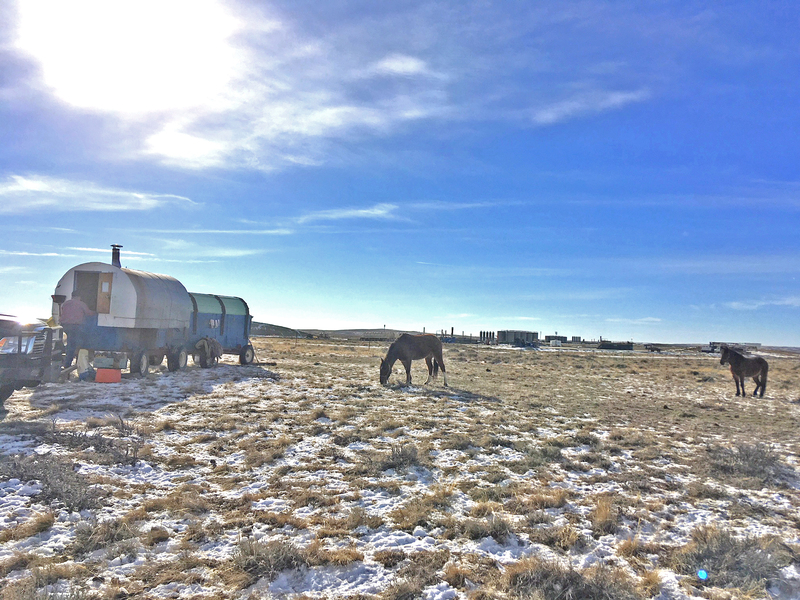 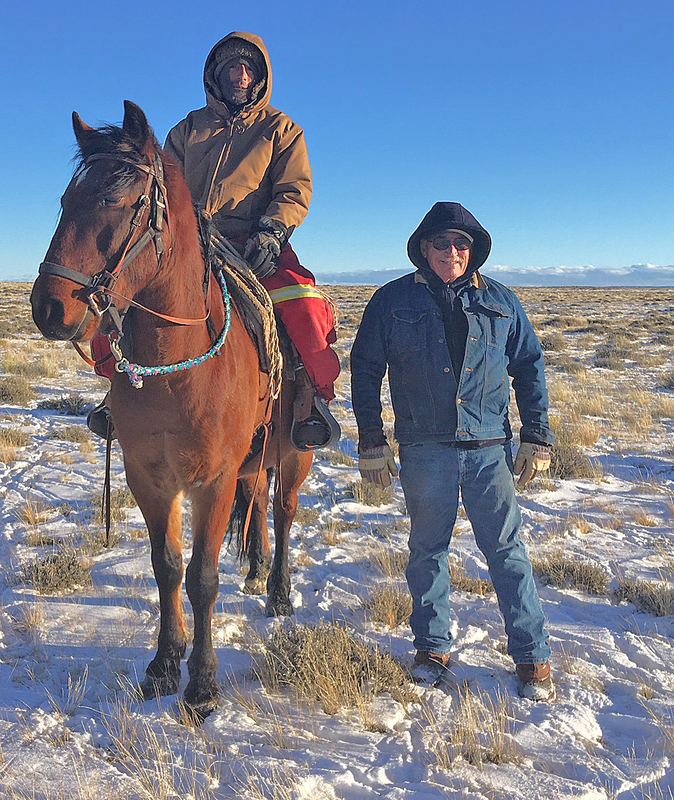 These allotments are part of the vast Great Basin, home to Greater Sage Grouse, desert elk, riparian plants and amphibians, feral horses, many many antelope and, part of the year, cattle and sheep. 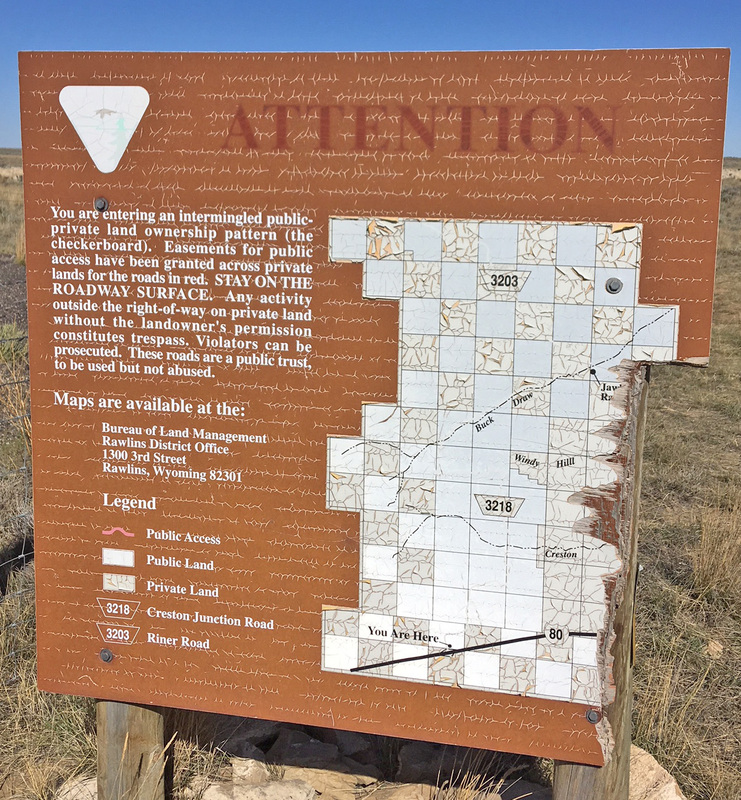 The Great Basin is named because it is a closed basin. 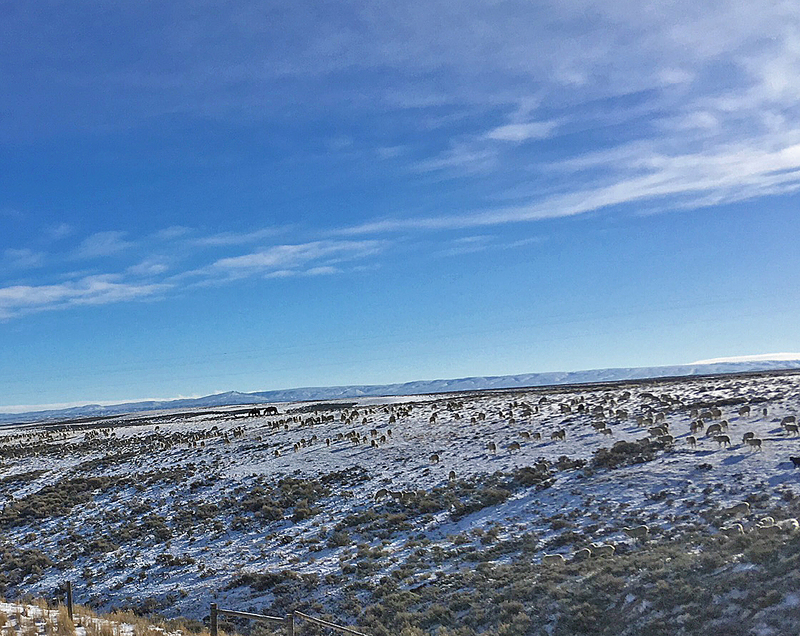 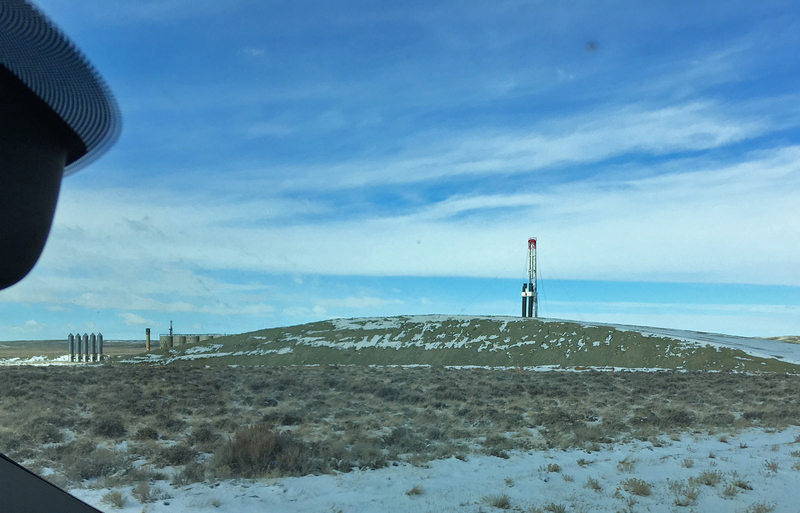 To the north, the Continental Divide splits and runs in separate ranges until it meets again about 15 miles south of Wamsutter near the Haystack Mountains. 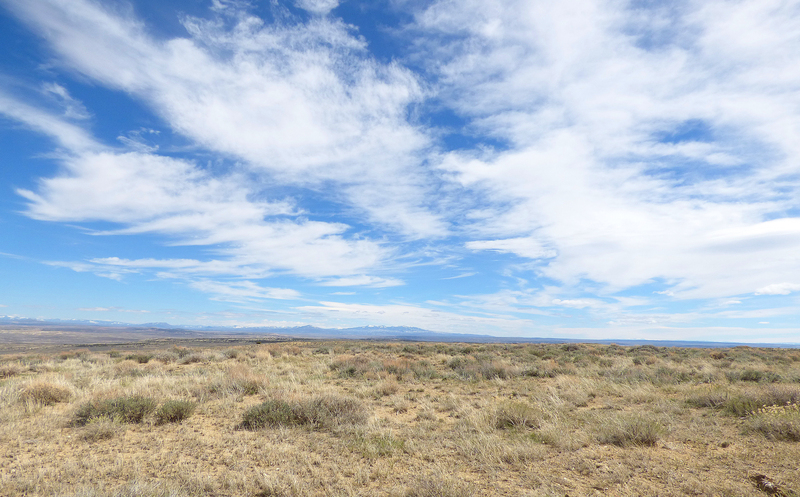 The country south of there–Church Butte, Adobe Town, Powder Rim–is likewise amazing landscape, but it is not part of the Great Basin, the Red Desert. 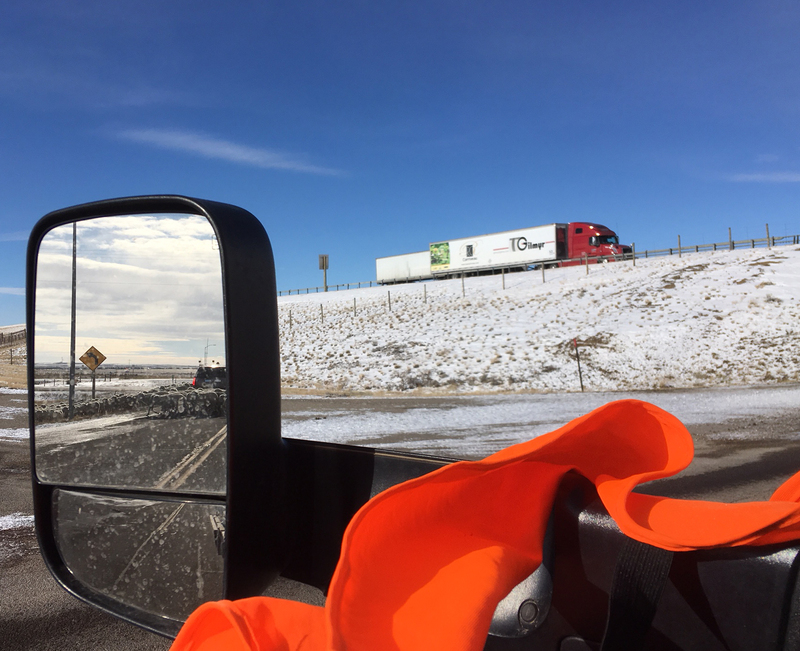 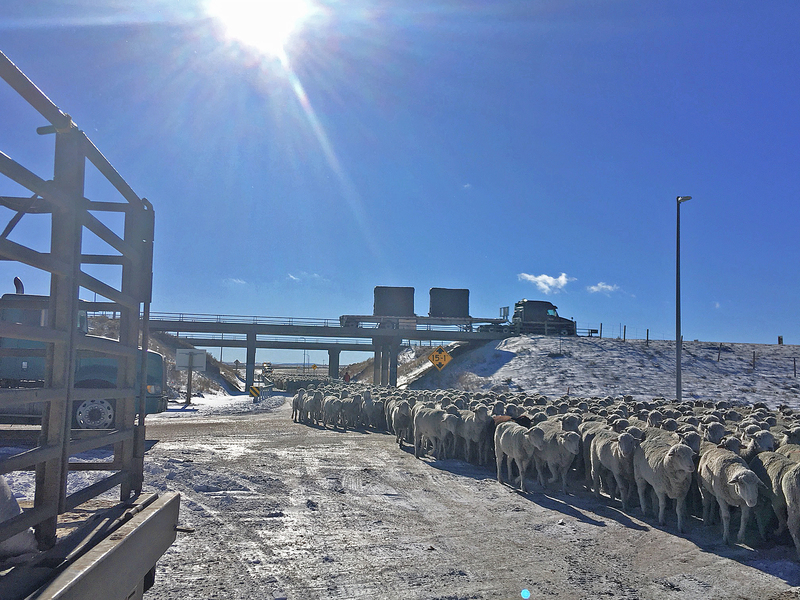 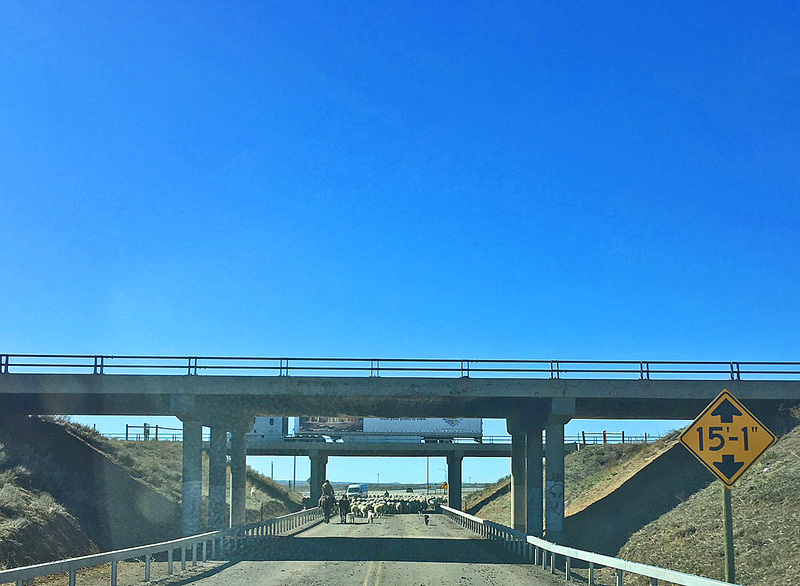 It is always a relief when we safely cross the overpass over the Union Pacific line and the underpass beneath I80 and head out across the open country for winter pasture. 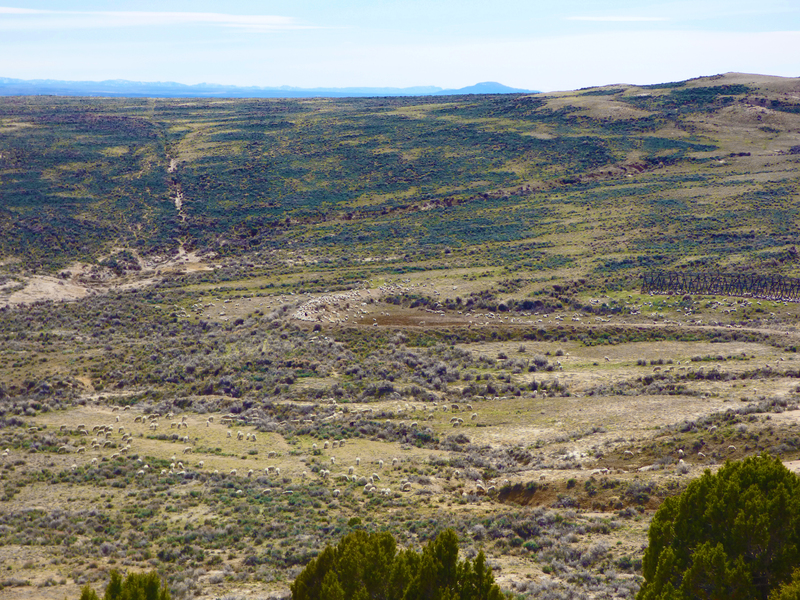 We are a week later than usual on the trail north. 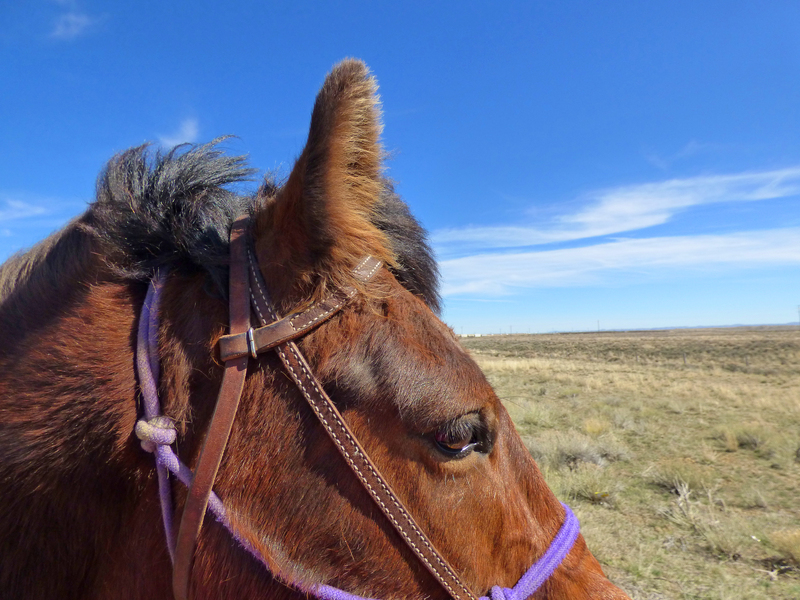 We had to wait for snow, since there’s not much water on the trail. 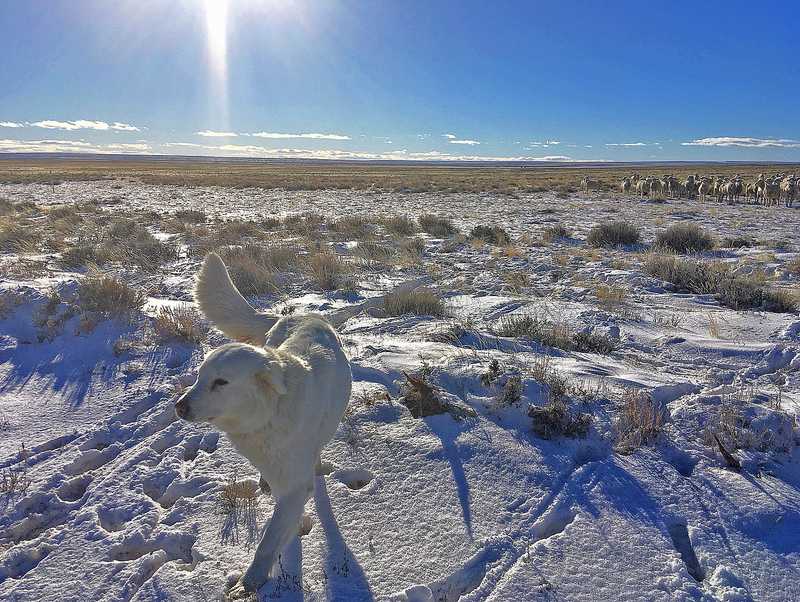 Like Goldilocks, we want it to be not too hot and not too cold! 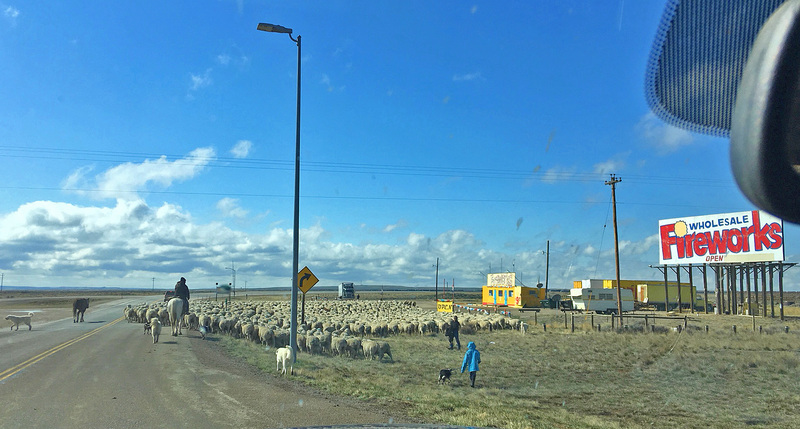 We have started trailing from our wintering grounds to spring country where we have shearing and lambing in our future, and theirs. 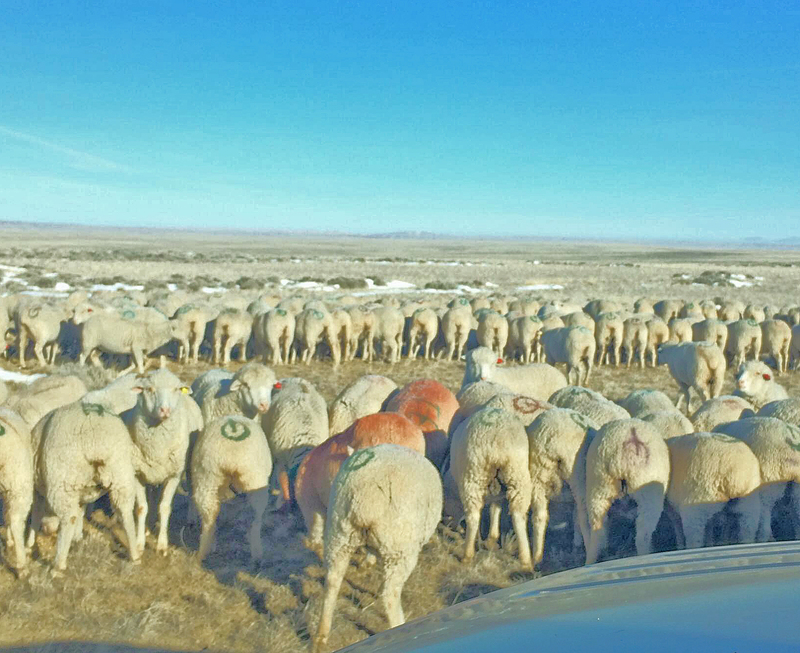 The ewe lambs have spent the winter in the Powder Wash country. 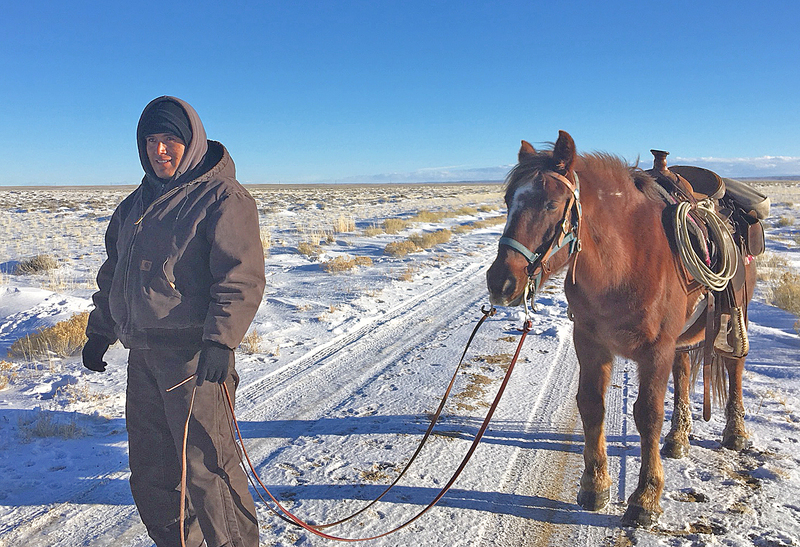 Yemerson has started them along the Powder Rim trail. 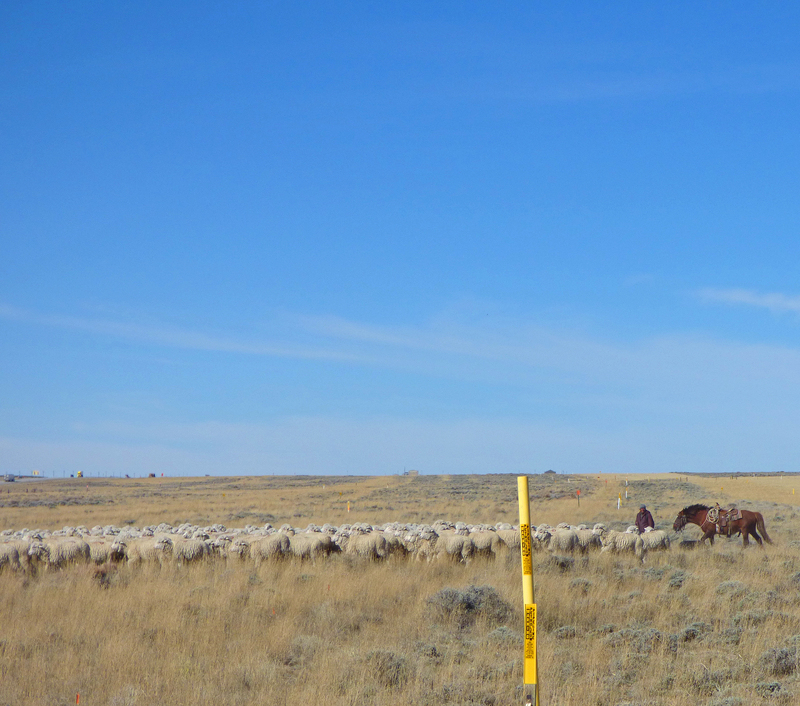 In a few days, they will arrive at the Badwater Pasture, where they will hang out until early July. 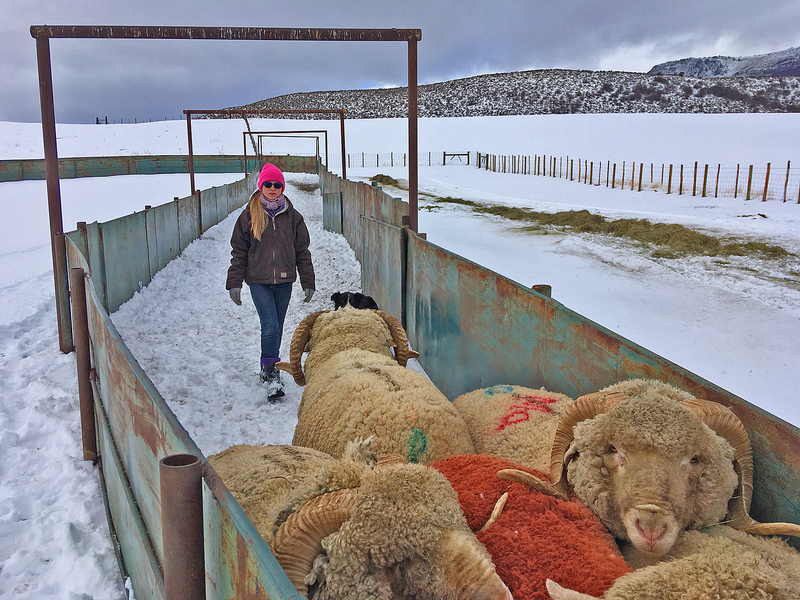 In the meantime, the ewes who wintered on the Chain Lakes allotment on the Red Desert have started south. 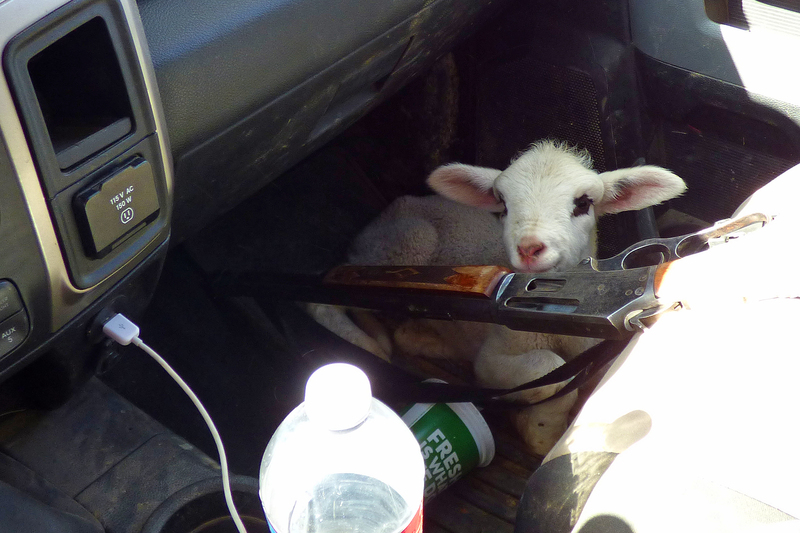 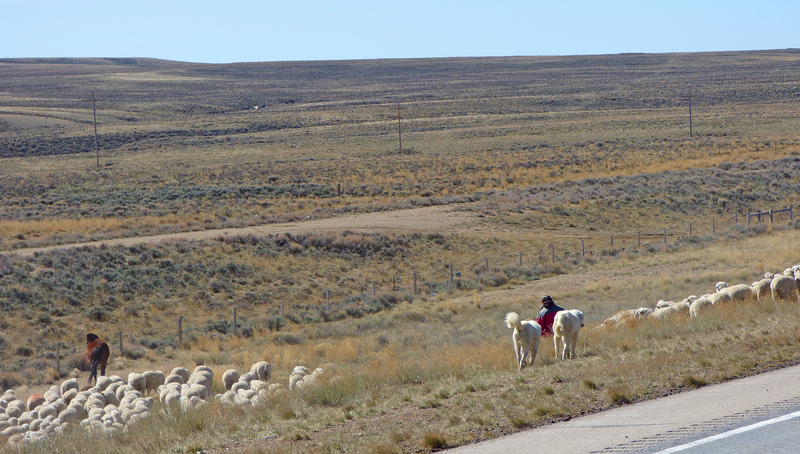 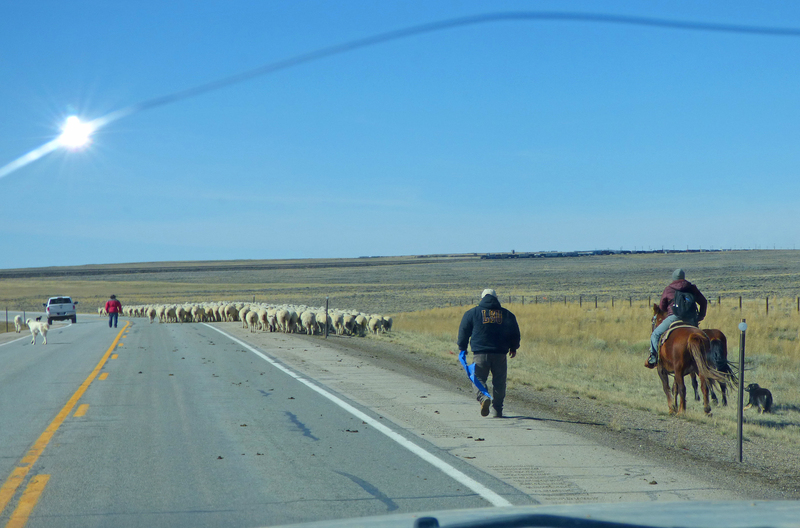 Their destination is the Cottonwood lambing grounds. 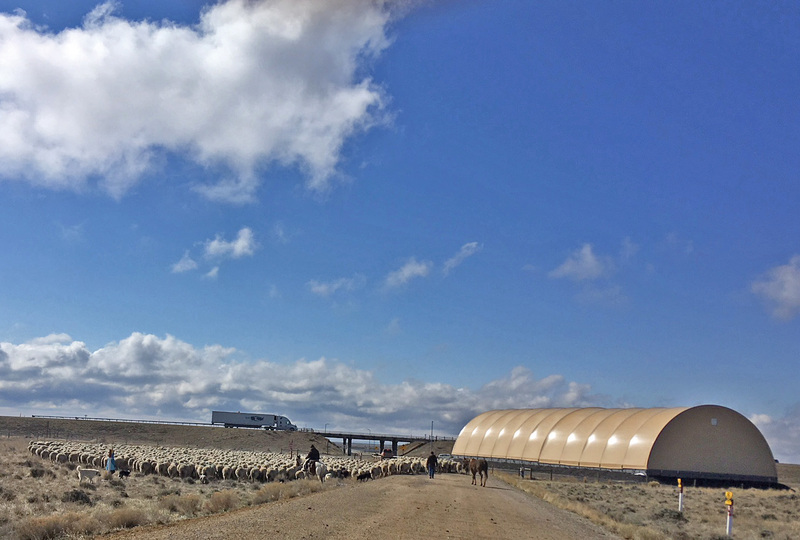 In a few weeks, we’ll have wool in the bags, and lambs on the ground, God willing.